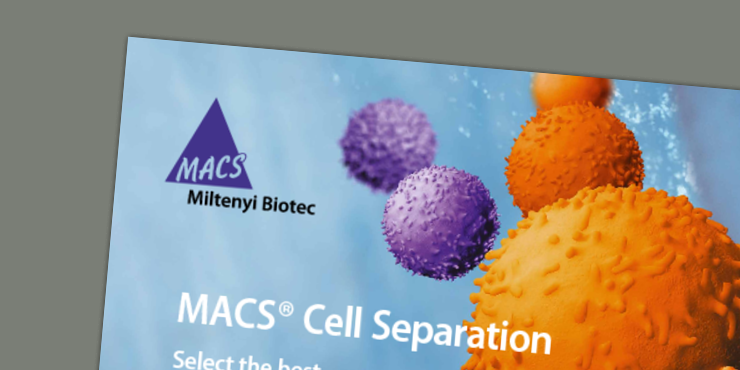 The MiniMACS Separator is the standard device for small-scale cell separations when used with MS Columns or Large Cell Columns. 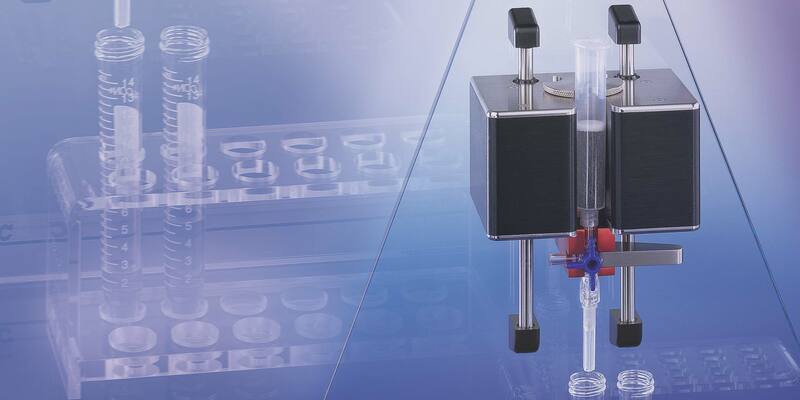 The OctoMACS Separator allows the simultaneous separation of up to eight samples. The MidiMACS Separator was developed for separation of larger samples using LS Columns, LD Columns, or Whole Blood Columns. 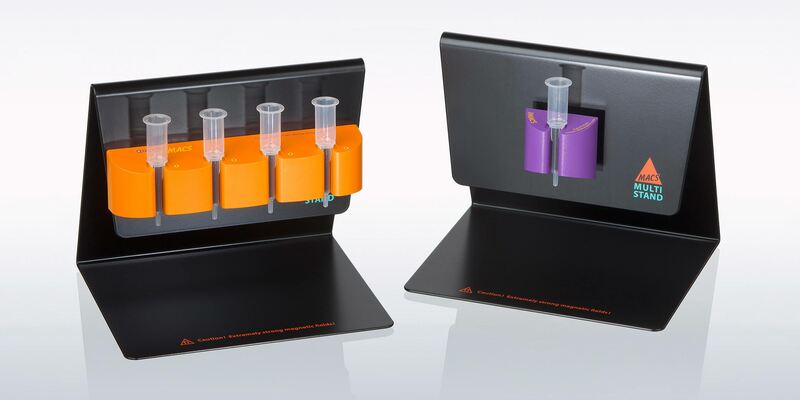 The QuadroMACS Separator allows the simultaneous separation of up to four samples. 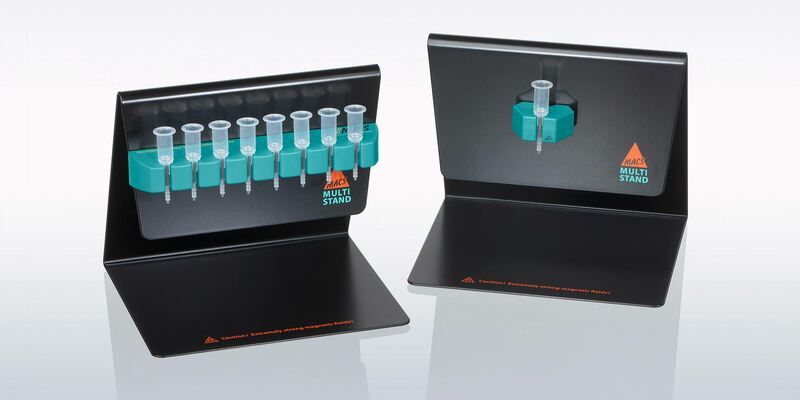 The VarioMACS Separator can be used in combination with MS Columns, LS Columns, LD Columns, CS Columns, and Whole Blood Columns. 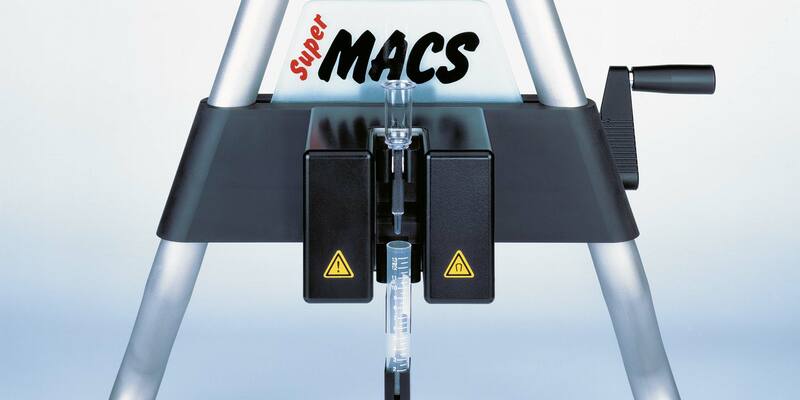 Developed for large-scale cell separations, the SuperMACS II Separator can be used in combination with any MACS Column for manual cell separation. 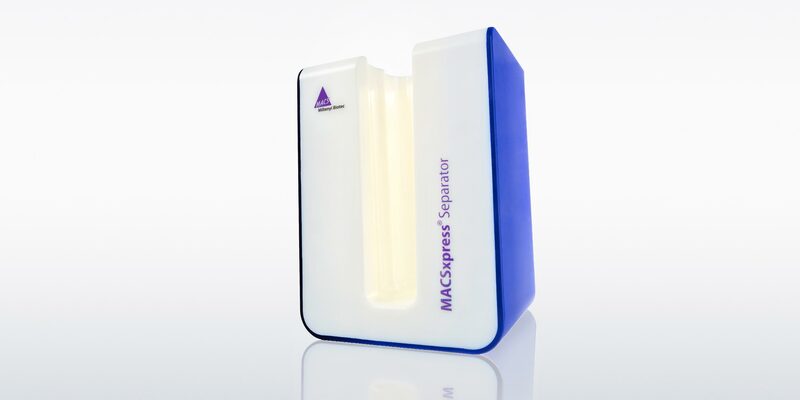 MACSxpress Technology enables untouched cell isolation from up to 30 mL of anticoagulated whole blood without density gradient centrifugation in a single step. 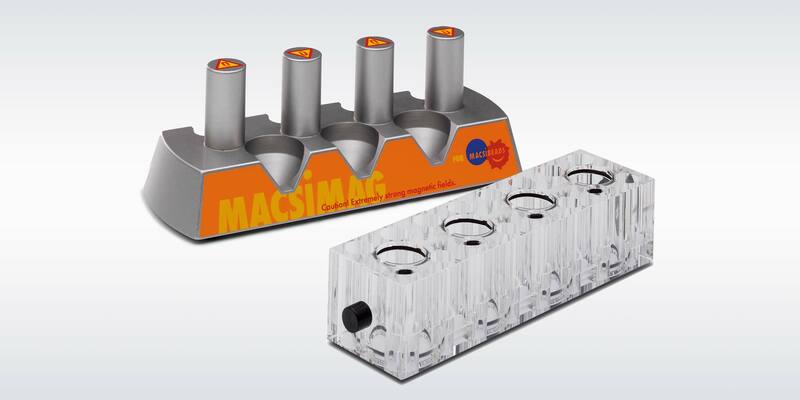 The MACSiMAG Separator is designed for the removal of MACSiBead™ Particles from cell suspensions.